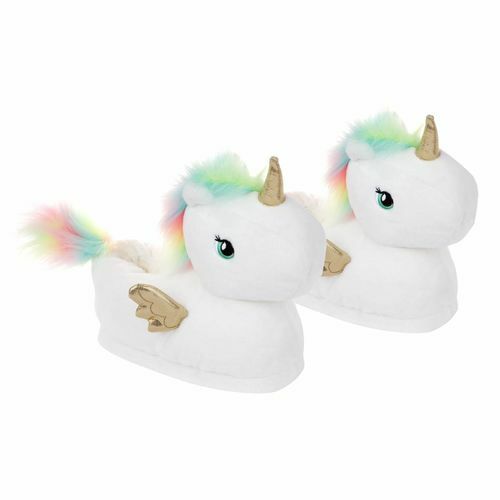 Kids Unicorn Slippers | A magical way to trot around before bed! A magical way to trot around before bed! A fun design your child will love! This awesome product is currently not available for sale. 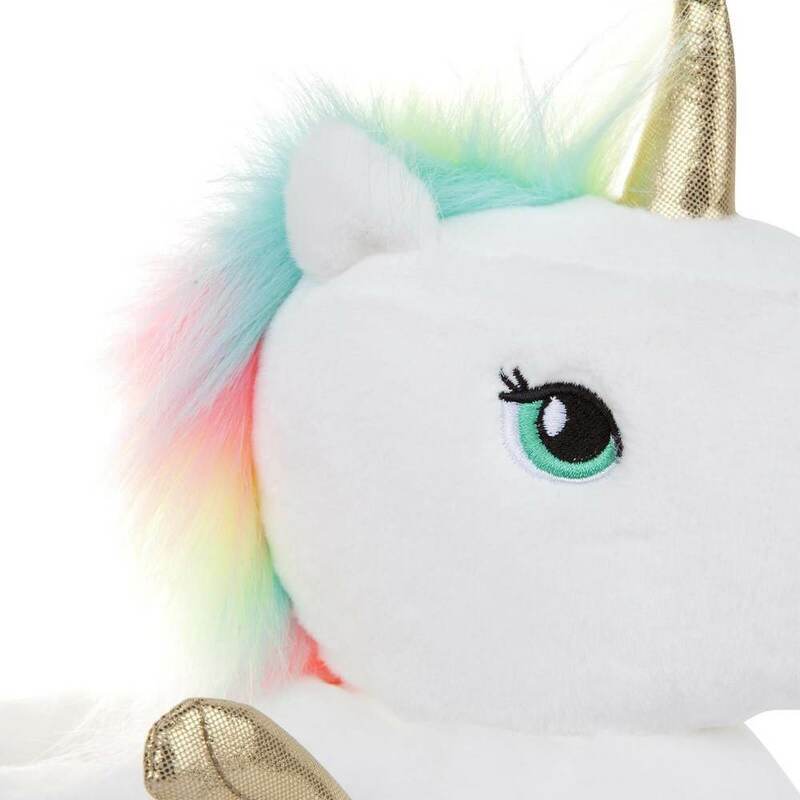 Our cool gift hunters are madly searching the world for more of these. if you would like us to update you if we get this back in stock please use our cool Email When In Stock system here. In the meantime while you are visiting please check out all the other popular and best selling gifts on our website, you’re bound to find something you’ll love. 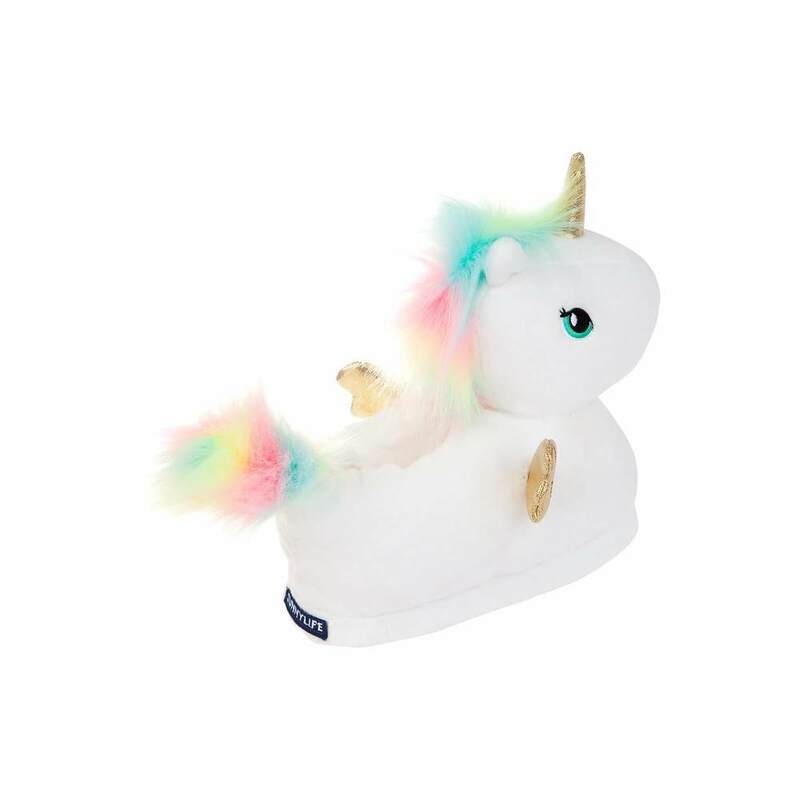 Kids Unicorn Slippers are perfect for keeping your toes toasty warm, just like magic! Made from the softest materials for a super cosy feel, pop them on after school and snuggle into your bedroom wonderland! Featuring a glittery horn and wings, these little wonders have a white base with a rainbow mane and fluffy tail! Child Medium: Approximately Aus size 2 - suitable for ages 4-8 years. Child Large: Approximately Aus size - suitable for ages 8-12 years. Material: Polyester (indoor wear advised). Dimensions: 21cm x 10.5cm x 21cm (medium) / 26cm x 10.5cm x 21cm (large).